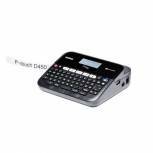 Brother P-Touch PT-D450VP Desktop Label Printer PTD450VPZU1 Pack of 1 Create labels with a choice of fonts, symbols and barcodes using the QWERTY keyboard and one-touch function keys. PC connectivity. Backlit display. Accepts TZ tapes up to 18mm wide. Prints up to 20mm per second. Includes USB cable and one 18mm tape. 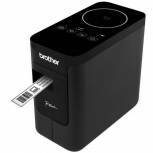 Brother P-Touch PT-D600VP Desktop Label Printer PTD600VPZU1 Pack of 1 Create labels with a choice of fonts, symbols and barcodes using the QWERTY keyboard and one-touch function keys. PC connectivity. Backlit display. Accepts TZ tapes up to 23mm wide. Prints up to 20mm per second. Includes USB cable and one 24mm tape. Durable Duracard Colour Ribbon 891122 Pack of 1 Colour ribbon for use with the ID 300 Badge Printer. Able to create up to 100 prints. Produces photo quality cards. Suitable for light and standard cards. Includes RFID encoding for quick recognition by the printer. Pack of 1. Durable Duracard Standard Blank Cards 0.76mm (Pack of 100) 891502 Pack of 1 Blank cards for use with the ID 300 Badge Printer. Easy to install. Ideal for long-term use. Thickness: 0.76mm. Dimensions: 53.98 x 86.60mm. Pack of 100. 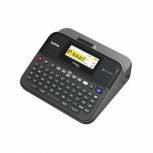 Brother P-Touch PT-P750W Office Label Printer PTP750WZU1 Pack of 1 Desktop Label printer accepts TZ tapes from 3.5 - 24mm wide. Up to 5000 copies. Horizontal and vertical printing. Sequential numbering. Centre, left and right alignment. PC connectable. Wi-Fi enabled. AC adapter included.